One day, when I first got to this area, my companion at the time and I went to the computer center of our apartment complex to work on making a Ward list of one of our assigned wards. As we were working, a girl came in and we all did the usual, casual, "Hey, how's it going?" The whole, I acknowledge your presence and ask you a simple question about your life, but you just say "Good" and we both go on with our day kind of thing. The next day, we get a call, and it was this girl! We met up with her and taught her again! After a lot of work, prayers, faith, and candy- she is the girl in the second to last picture and that was taken at her baptism on Saturday. Her name is Emily Marie Little. Her family is not very cool with her conversion and she has struggled with a lot of issues at home because of her new faith. But she has impressed me many times with her strength in doing what she came to know is right and true. Thankfully, she was baptized into a ward who came to love her and many of them have adopted her (So to speak) into their own families. I am thankful for the chance to have met Emily, seen the progress she has made, watched the change in her life, and then get a God-given glimpse of what her life can be and become if she is faithful, compared to where I saw it going when I met her. This is such a testimony to me that Heavenly Father is a personal Father, very much involved in the lives of each of His children. The fact that at this specific time in an 18 year old girl's life, when she was about to enter the world unprepared, He would put her in the very same room as two 20-year old weirdos who had no idea..... about anything, but happened to be carrying the exact message that this girl would need. 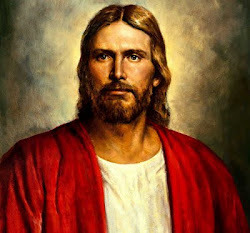 Can I just end by telling you that I know that Jesus Christ is the Savior and Redeemer of the World. After carrying the weight of the world, EVERY sin, sorrow, or infirmity you, I, or anyone else has ever felt; He died and rose again the third day from the tomb. This, I now know for myself, and it has been etched onto my soul by the Holy Ghost in a way that can never be denied, a witness more powerful than sight.